Thanks to Dan Yurman (who writes the popular blog IDAHO SAMIZDAT linked from this blog) we see that TEPCO has in part revised its official timeline of events at No. 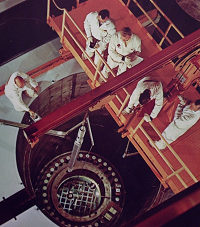 2 reactor during the very earliest days of the accident. These changes can be summarized by simply saying that TEPCO now does NOT believe that there was a hydrogen explosion at No. 2 plant. The data leading to this conclusion is the record of a seismometer at the site that recorded only the explosion that partly destroyed No. 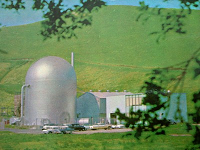 4 reactor building; no other major shock is seen at that time. Let's try to break this discovery, and its revelation by TEPCO, down into some terms that people can wrap their minds around. The long-time readers of this blog (or anyone who uses the search box and looks for entries including "explosion" and "no. 2") know that from the very time of the explosion (for the employees did hear an explosion sound deep inside the No. 2 plant) and sudden drop in pressure of the suppression chamber at No. 2 plant, I have postulated two theories - First, a contained hydrogen burn, and second, a steam explosion caused either by core material dropping down from the core plate into water at the bottom of the reactor vessel or else from core material exiting the vessel and falling into water below the vessel. A steam explosion? Yes. According to one of my favorite volumes for accident analysis in rapidly discoverable form, "The Second Nuclear Era," (see Fukushima Sources page) we find that extensive experimental analysis performed following the release of the Reactor Safety Study (WASH-1400) indicates a prevention of steam explosion in a contained volume if the absolute pressure of that volume is above 1 MPa (145 psia.) 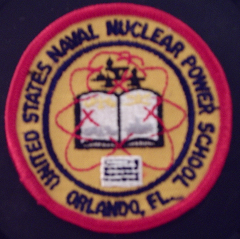 (See "The Second Nuclear Era" page 174-175.) This is to say that if the pressure is above this point when core material falls into a volume of water, there is a quenching action but not a steam explosion. Review of the TEPCO records of pressure in No. 2 plant reveal a great deal of time around the time of the explosive sound that pressure at the plant was BELOW this value. This means that if core material did suddenly fall into a volume of water, a steam explosion could have resulted. Core design and power profiles would tend to reason against a sudden wholesale collapse of molten core material into a volume of water below; the failure would normally be expected to be much slower, with perhaps a better comparison being a trickle or occasional drop of progressive amounts of material. However, we should also note that there was a magnitude 9 earthquake prior to the accident and probable total core dryout prior to the explosive sound being heard inside No. 2 plant. Now, before we jump off here, let's add this. There was at that same time a hydrogen explosion in No. 4 plant. We know that for sure; it partly destroyed the building. It's possible that the sound of this explosion was heard deep inside No. 2 plant... but almost immediately after this sound, both according to the archived TEPCO data and to TEPCO's new analysis, the dry well pressure at No. 2 plant suddenly dropped. It would be hard to believe that the hydrogen blast at No. 4 shook No. 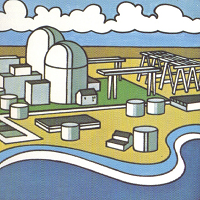 2 plant enough to lead to a containment failure, although with all the other site damage which had occurred ... and the industry's general lack of complete analytical study of multi-reactor accidents on one site ... it's impossible even at this later date to say this could not have happened. Having gone through all this so far, we have to stop and ask: "What does this new analysis really mean?" Well, it means that No. 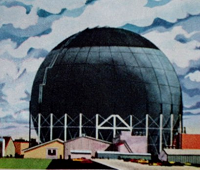 2 plant was the only one of the three which had reactor cores installed that did not experience a hydrogen explosion. We can attribute this to the dislodging of a blowout panel on No. 2 plant when one of the other plants experienced an explosion; surely this vented hydrogen that might have caused an explosion identical to that at the other plants. (Item: No. 4 plant had no core installed; the explosion here was from hydrogen gas that leaked over from No. 3 plant through common vent piping.) This also means that the sound employees heard COULD have been that of No. 4 plant's explosion, but the drop in pressure of the dry well and the fluctuating pressure vessel pressures seem to indicate that a steam explosion upon release of core material into a volume of water isn't out of the question. In the final analysis, there will likely be a different finding of damage at each plant, and each plant's differing failure timeline and physical condition will give us a great deal of information about preventing such accidents in the future. For now, we can only fairly puzzle at the new TEPCO finding of fact with educated guesswork such as I've engaged in above and continue to wait for direct analysis of plant components, at which time many of our driving questions about plant design and plant failure modes will finally be answered.